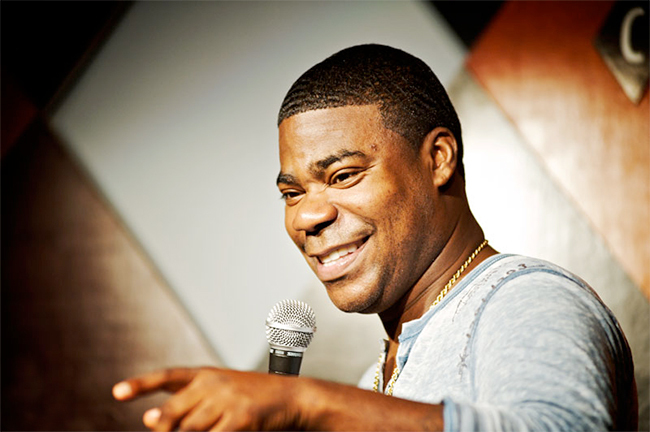 Drowsy driving put Tracy Morgan in the hospital and it has reinforced the increasing danger a lack of sleep is posing to motorists nationwide. Morgan, an actor and comedian notable for roles on “Saturday Night Live and “30 Rock,” was seriously injured on June 7 when a tractor-trailer slammed into a limousine van carrying him and four other passengers on the New Jersey Turnpike. The tractor-trailer failed to react to slowed traffic on the turnpike and collided with the limousine van. Kevin Roper, a truck driver, was behind the wheel of the tractor-trailer at the time of the accident. Roper had gone without sleep for more than 24 hours before the accident. Morgan and three other passengers were seriously injured in the collision and one passenger died. As a result, Roper has been charged with vehicular homicide and also faces four additional accounts of assault by automobile. Drowsy driving is a growing concern nationwide. Millions of drivers hit the roads and highways without getting enough sleep first. AAA has reported that one in six traffic fatalities occur as a direct result of drowsy driving. 60 percent of drivers surveyed in a 2011 poll conducted by the National Sleep Foundation revealed that they had driven at least once while drowsy. 37 percent in the survey also revealed they had fallen asleep while driving at least once in 2010. Getting behind the wheel while drowsy is not only dangerous; it is against the law in many states. New Jersey became the first state to outlaw drowsy driving. The state passed Maggie’s Law in 2003. This law classifies a person who drives after going without sleep for more than 24 hours as a reckless driver. If they cause an accident that leads to another person’s death, they can be charged with vehicular homicide. Those charges can carry a prison sentence of up to 10 years and a maximum fine of $100,000. Maggie’s Law offers a deterrent to sleep deprived driving. It is a practice that needs to meet an end. Drowsy driving leads to fatigue, impaired judgment and coordination, reduced reaction time and heightened aggression. A person who has not slept in more than 24 hours needs greater sensory stimulation to stay awake and alert. Drowsiness can occur even when a driver thinks they are awake. The brain can drift into a micro sleep state lasting anywhere from a fraction of a second to a few seconds. Diminished alertness grips the entire body in these small moments. One of the most effective strategies to avoid drowsy driving is to get a good night’s rest. The average adult human needs seven to nine hours of uninterrupted sleep each night. Less than seven hours can lead to drowsiness at the wheel – especially during the early morning or early afternoon. Taking a power nap during the day can help you recharge your batteries before hitting the road. A good power nap should last 20 to 30 minutes. If you are not able to take a nap, drinking a caffeinated soda or coffee can offer a temporary energy boost. Caffeine should never take the place of sleep long term, since this can lead to sleep problems on other nights. If all else fails, and sleep deprivation starts to get the best of you, park your car and call for a cab to take you home. You can come back for your car the next day and save a life along the way.